In chapter one, Zhenggang Xiong and Liqiong Liu discuss their perception of the genetic alterations of gliomas and the biomarkers that can be used for classification, individualized treatment, and predicting prognosis of gliomas. Next, Norma Angélica Moy-López, Nadia Yanet Cortés-Álvarez, César Rubén Vuelvas-Olmos, María Fernanda Pinto-González, Jorge Guzmán-Muñiz, Jorge Luis Collás-Aguilar and Oscar P. Gonzalez-Perez concentrate on the effect of exposure to maternal HFD and obesity on offspring neurodevelopment in chapter two. 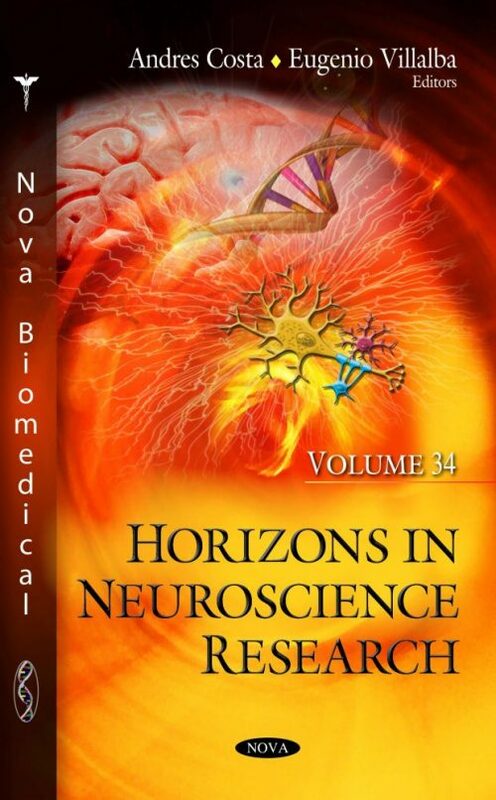 In chapter three, Alan J. Pearce abridges current studies engaging techniques such as electroencephalography (EEG), magnetoencephalography (MEG), and transcranial magnetic stimulation (TMS). Pierce addresses the advantages of using these techniques and how these techniques can be employed. In chapter four, Rocio Gomez-Herreros, Isabel Melguizo-Moya, M. Esther Sanchez-Garcia, and M. Asuncion Navarro-Puerto review dementia with Lewy bodies together with the diagnostic approach.